Picture it: You’re visiting Boston for the first time and are daring enough to ask a "Masshole" for advice on where to find the best burger in town (psshh, you can answer that one). Besides our legendary rivalry with the New York Yankees and realllly historical sights, Boston is most famous for our wicked cool accent. Right away, you’ll realize that we replace our “er”s with “ah”s and speak a couple octaves higher than the average American. Even those who grew up in the suburbs are not safe from the “pahk my cah in Hahvad Yahd” stereotype. Despite our hard exterior, we want you to love that dirty water as much as we do. We came up with some terms that will help you to successfully navigate Boston without getting lost, scared or just straight up confused. 1.Wicked: We are not insulting you. Or maybe we are. Despite the dictionary definition meaning evil, it is the equivalent to "really" or "very". i.e. The Boston Burger Company has wicked good burgers. 2. "Bang a Right": Don't panic. Although you will hear blaring car horns and witness some close calls (we are known for our aggressive driving), the lady or gent is probably just telling you to take a right onto a street. 4. Frappe: You might have seen our famous Freak Frappes on Eater, Bravo or Mashable (not so humble brag).... And you are dying to see how Boston does a "Milkshake". Here it is friends, BAM. 5. Bubblah: Alright. Don't get too excited. 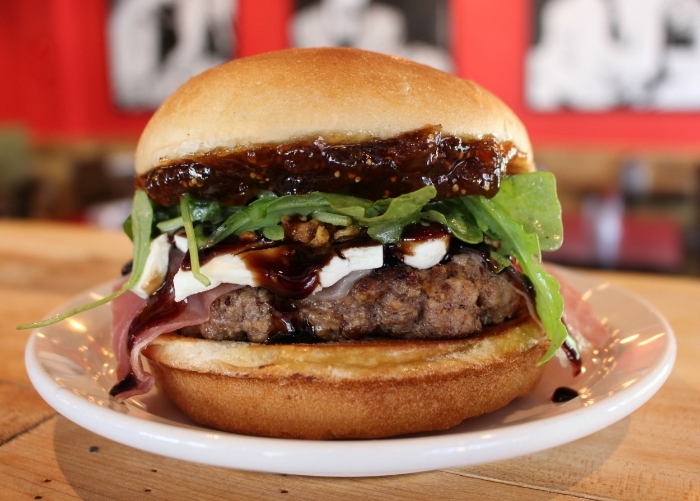 We're not hinting at our 420 Burger or any activity that might come before consuming it. It's just a water fountain. 7. Packie: This is not a derogatory word for a Packers fan, just a term we use for a liquor store. If you're sick of having to serve yourself beer, we have a pretty amazing draft selection at our restaurants in Cambridge, Boston and Davis Square. 8. Regular Coffee: How we take our Dunkies coffee, with cream and sugar. 9. Southie: Home of Whitey Bulger and the set of The Departed. 10. Burga: In other words, a burger...our specialty. Hell, we even have a whole meal kit service, Burgabox, that will send our craft burgas to your doorstop.